Ever feel like no matter what you do, you still get flaky and dry skin? I, for one, battled dry patches underneath my combo skin for years. It wasn’t until I discovered the difference between dry and dehydrated skin that my own skin began to gain back its former glow. The key? Creating a skincare routine specific to treating dehydrated skin. So what’s the difference between dry and dehydrated skin? Dry skin is a skin type that lacks oil and usually a result of genetics. Dehydrated skin, on the other hand, is a skin condition where it lacks water. When our skin is running low on water, it’ll produce more oil to make up for it. This is why many of us experience dry patches or even breakouts when we have dehydrated skin. You might not realize this, but your unending battle with textured skin, acne, or patchy, irritated skin could potentially all be the result of pure dehydration and not necessarily your skincare routine. The good news is, dehydrated skin is usually developed over time and can be corrected by taking the appropriate skincare steps. Where does dehydrated skin come from? Dehydrated skin is really just a symptom of our skin not getting enough water. An obvious cause is not drinking enough water, but dehydration can also come from an especially dry climate, the environment, our diet or sometimes our stress level. Another possible contributor to dehydrated skin is a damaged “skin barrier” that has lost the ability to hold water on its own. Our skin depends on an outer layer of cells and lipids (called a “skin barrier”) to protect the skin and keep it hydrated and healthy. Over-exfoliating and dehydration can compromise the health of that barrier so seriously that some people will even develop sensitive skin with hyperpigmentation as a result. Without a healthy skin barrier, any hydration that you put into your skin will just evaporate like nothing ever happened. I repeat, it’s like you didn’t even put the hydrating product onto your skin — this is why taking hydration seriously is so essential — it impacts our skin in a massive way. When there are so many factors that may contribute to dehydrated skin, it is important to ensure that we give our skin the necessary tools to quench its thirst and rebuild, and that is by hydrating the heck out of it! How do you treat dehydrated skin? We’ve already mentioned a few times that hydration has everything to do with water, so it only makes sense that treating dehydrated skin is all about pumping up its water content. You’ve probably heard of hyaluronic acid, sodium hyaluronate, glycerin and honey. These are some of the most popular ‘humectants’, a class of ingredients that have the ability to attract water into our skin and are often called ‘water-magnets’. If you’re looking to save your dehydrated skin, look for these ingredients in the beginning of ingredient lists so you know there’s a high concentration of it! Do I still need to use oil? As mentioned earlier, even if we sufficiently hydrate our skin, that hydration is not sustainable unless our skin has a healthy skin barrier. Oils are great moisturizers despite having no water content, as they can smooth out the top layer of our skin while forming a protective layer against the outside world. Additionally, many plant oils come with antioxidants, essential fatty acids and vitamins that can work to strengthen the health of our skin from within. So, oil-based moisturizers are absolutely essential in any hydrating skincare routine in order to support the skin barrier and its water retention. Ok, we’ve learned a lot! Now let’s put that knowledge to use - here’s a super simple, but super hydrating routine that targets dehydrated skin. Stay consistent, and you will definitely see results within a few weeks, or even days! Any effective skincare routine begins with clean skin devoid of makeup or sunscreen that might block our skin from getting the benefits of our products. 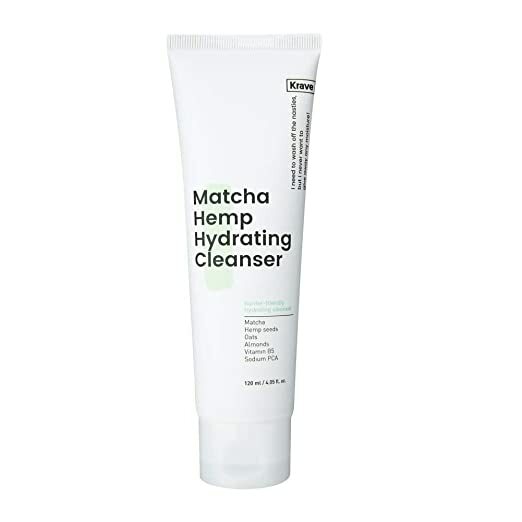 Go for a gentle but powerful cleanser like Krave Matcha Hemp Hydrating Cleanser.With 40% matcha, a powerful antioxidant, and oat extract, a hydrating humectant included, this is a great cleanser for those hoping to rebuild their skin barrier gently. Incorporating an AHA/BHA toner is important as it will gently exfoliate the top layer of your skin, getting your skin ready to drink in hydration. Try Moon Juice Beauty Shroom Exfoliating Acid Potion,a clean alternative to the very insta-famous Toning Lotion P50 from Biologique Recherche. This uses a combination of glycolic, lactic and salicylic acid to brighten and exfoliate the skin. A warning: if you haven’t used chemical exfoliants before, start slow by incorporating this every few days before diving into daily use. Also, skip this step if you think a broken skin barrier is contributing to your dehydrated skin. Now we’ve come to the most important step - hydrating. You can actually use multiple products and layer them in order of consistency, starting from the most watery (toners), to the most viscous (serums). A multi-layer approach will allow the ingredients to really sink in, but if you don’t have time for multiple steps, the Drunk Elephant B-Hydra Intensive Hydration Serum is a great choice for a powerful boost of hydration. Time to seal it in! 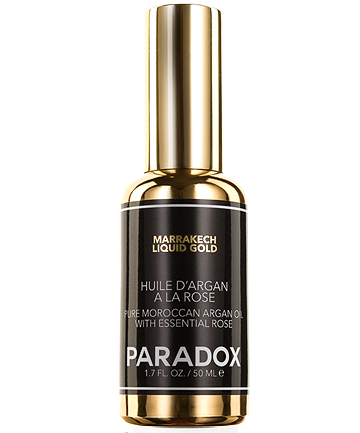 We love our Marrakech Liquid Gold as a one-step skincare product, but this multi-step routine only makes it that much more powerful! Our all-natural argan oil can boost the health of your skin with essential fatty acids, vitamin E and antioxidants.These ingredients have been shown to be anti-inflammatory and can also restore our skin barrier. Plus, it will give you the most unbelievable glow! Did you like this post? Have other topics you want us to explore with you? We'd love to hear from you! Leave a comment below or follow us on Instagram @paradox for more content like this! You can also find out more about our clean beauty oil here and see why it can do wonders for your dehydrated skin!